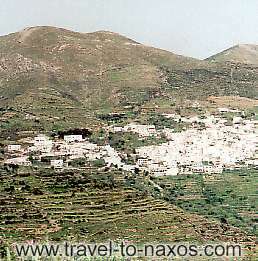 Koronida or Komiaki lies at the northern side of Naxos island. It is built at an altitude of 700m. The region has dense vegetation and running waters. The village is famous for the handmade webs local women make.